is sometimes called the Little Sombrero for its resemblance to M104, the Sombrero Galaxy in Virgo. 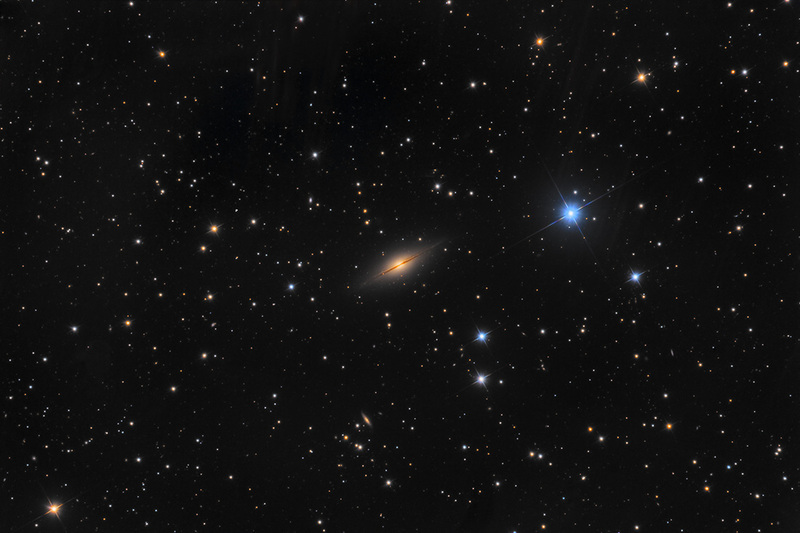 Both 'Mexican hats' are edge-on spiral galaxies with extensive central bulges cut by a thin, disc-like dust lane. NGC 7814 (also known as UGC 8 or Caldwell 43) is some 40, 000,000 light-years away and an estimated 60,000 light-years across.